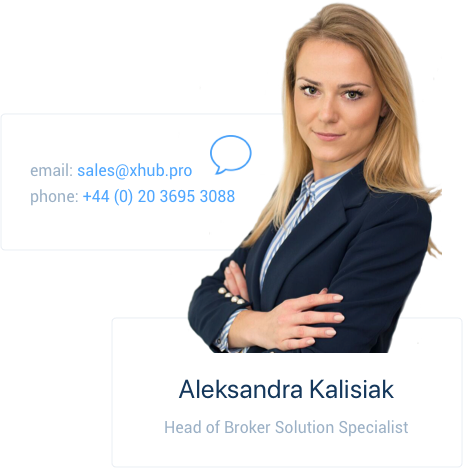 X Open hub provides low latency direct market access and the flexibility which allows managing exposure in a way that aligns with your unique risk strategy. As an EU regulated company, our MT4/MT5 liquidity offer meets high-quality standards posed by EU and International Regulators. Our MT4 liquidity is widely recognized and acknowledged by international institutions, banks, and brokers. We offer significantly improved spreads and much lower fees for partners working in STP/ECN models. Our multi-asset liquidity solution comes equipped with advanced capabilities and features, helping you to maximise your product offering and diversify revenue streams with our safe, secure and reliable pricing. Our proprietary xAPI is meticulously optimized, resulting in the lowest latency and highest throughput API available on the market. Complete order book presented via FIX protocol or trading terminal. Would you like to hear more about our institutional liquidity? Get in touch with our sales departament and ask about our full instruments list and trading conditions.